Characture artwork by poster artist Al Evcimen. 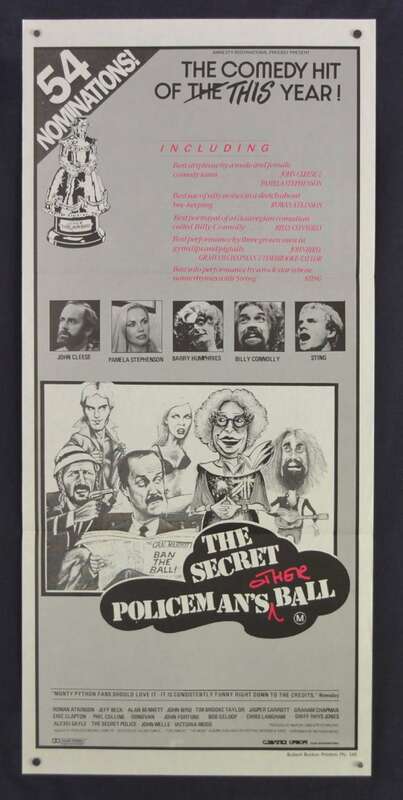 The Secret Policeman's Other Ball was the fourth of the benefit shows staged by the British Section of Amnesty International to raise funds for its research and campaign work in the human rights field. 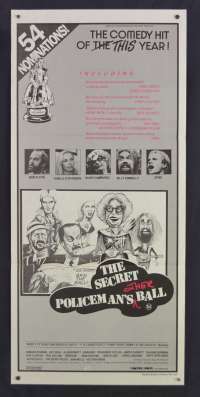 It was the second of many shows to bear the celebrated "Secret Policeman's" title that became the iconic series known informally as The Secret Policeman's Balls. The show took place at the Drury Lane theatre in London on Wednesday 9 September 1981. The show was directed by Monty Python alumnus John Cleese and produced by Martin Lewis & Peter Walker (Amnesty's fundraising officer). The show was very influential in galvanizing rock musicians to become involved in the human rights issue and in other political and social causes in subsequent decades. Musicians who performed at the show who subsequently became activists in various fields include Sting, Bob Geldof, Eric Clapton, Phil Collins and Midge Ure.